Webmentee was originally a pet project of mine. I decided since I created websites for others, why not use the same formula and processes to create my own. The aim of this site was to sell digital courses on website creation with WordPress. The site had to look good as well as follow best practices to the letter, because that’s what I would be teaching. 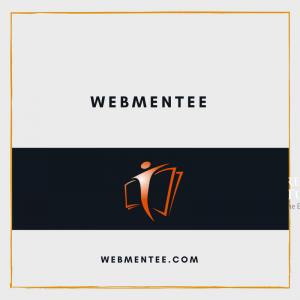 I have discontinued this website in favour of using one domain to host my courses. I realised that selling digital items for $97+ upfront was not going to get me a lot of customers. So I decided to implement a sales funnel. I created several different well designed lead capture pages that were hidden from the search engines. In addition, I created a free training area which was basically just a blog with step by step information. This would assist in building up relationships with my prospects. Finally, I added a digital membership and cart to take payments for those who wanted to take their education further. After launching the site, I sent out an email to my list and it was well received. People liked the concept and I had a few sales on the low dollar offers aka tripwires. My next step was to optimise the design and start sending more traffic. The website no longer exists and will soon redirect back to my new course site.